The Economic Forum in Hamburg "Ukraine: Opportunities for Cooperation in Logistics and Food Sector"
Olga Trofimtseva: The Agricultural Sector will show itself off! 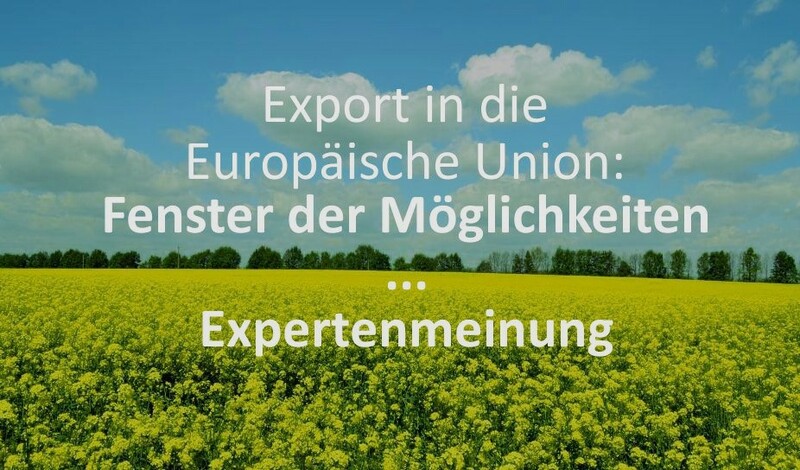 Export of agricultural and food products to the EU: What to start with? Meet "Practical Guide For the Agricultural Exporter to the EU"
Development directions of the agrarian sector of Ukraine were discussed during the round table "Free trade zone: What do agrarians need to know to enter the European market?" Round Table: "Free trade zone: What do agrarians need to know to enter the European market?" Coference "Deep and Comprehensive Free Trade Area – access to the EU markets!"